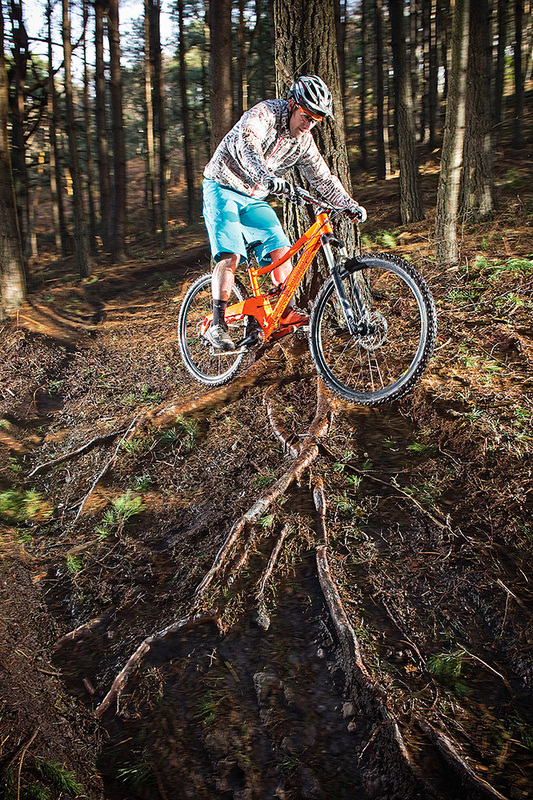 Keep the front wheel off the roots if possible — steer round them or pick up your wheel and hop over. Move your weight back and do not touch the brakes. 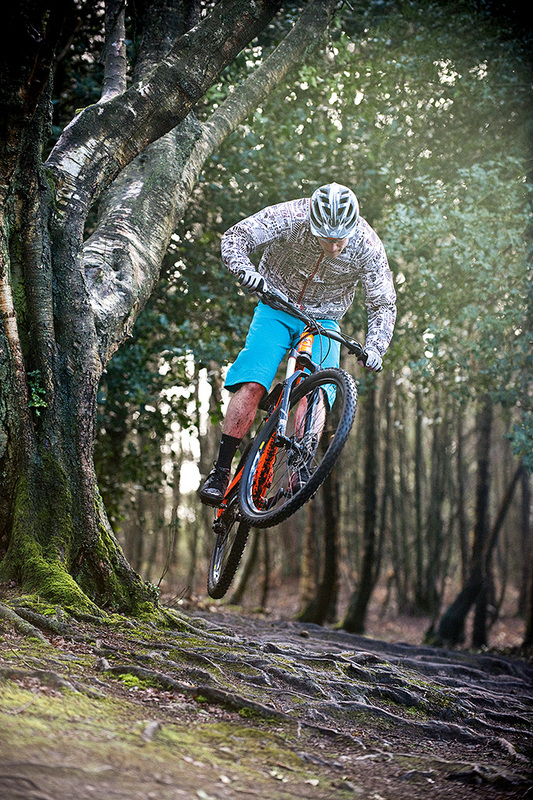 Stay loose on the bike. It’s more than likely the rear wheel will slide, but it’s no big deal; it’ll find grip again as it reaches dirt. Roll into the section slowly, plot your route and drop your saddle a little to keep low. Move onto the nose of the saddle or even stand up to get more power. Feel for that balance point between keeping rear-wheel traction and the front wheel grounded. Apply the power smoothly, but back off whenever the rear wheel touches a root. 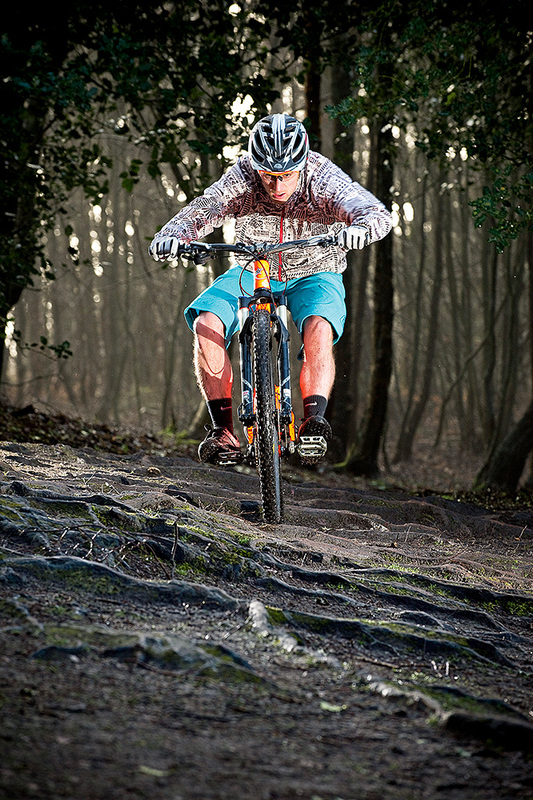 Aim for the smoothest line you can see, and pick the front wheel up and over the first few roots. Keep your weight back on the rear wheel in case the front wheel deflects. Stay off the brakes if at all possible — only use the rear if you really have to. Pick the line you want to take — the higher, less-ridden line tends to be grippier. 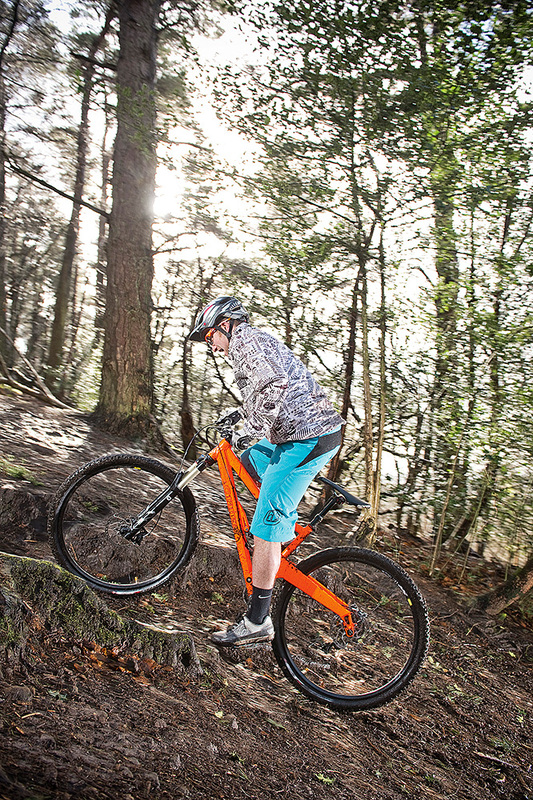 Keep your feet level so you can weight and unweight the bike with ease. Move your weight back slightly. Do not touch the brakes! Momentum is your friend so keep your speed up.